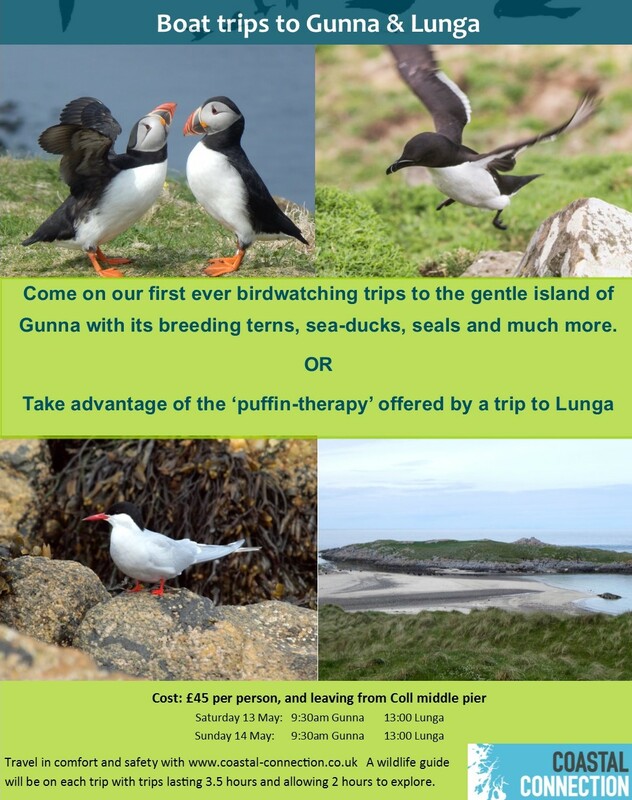 Choice of 4 guided boat trips each costing £45 per person and leaving from Coll’s middle pier. Travel in comfort and safety with Coastal Connection. A wildlife guide will be on each trip, with trips lasting 3.5 hours and allowing 2 hours to explore. Call 01879 230 217 to book your space.